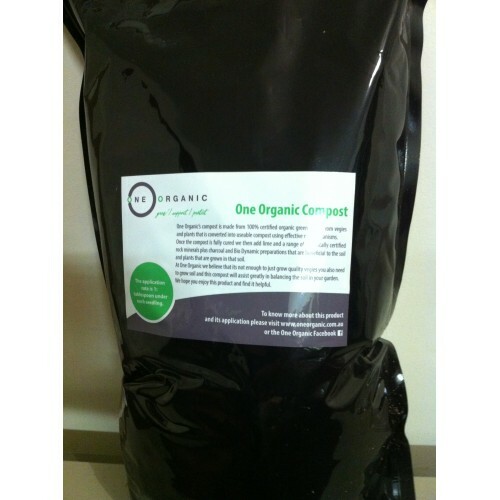 One Organic’s compost is made from 100% certified organic green waste from vegies and plants that is converted into useable compost using effective microorganisms. Once the compost is fully cured we then add lime and a range of organically certified rock minerals plus charcoal and Bio Dynamic preparations that are beneficial to the soil and plants that are grown in that soil. At One Organic we believe that its not enough to just grow quality vegies you also need to grow soil and this compost will assist greatly in balancing the soil in your garden. 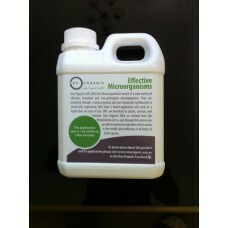 We hope you enjoy this product and find it helpful. The application rate is 1: tablespoon under each seedling.